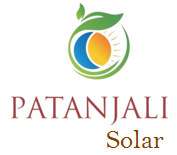 A Solar power system has an electricity generating device commonly known as solar panels, which are mainly on top of a house of building. 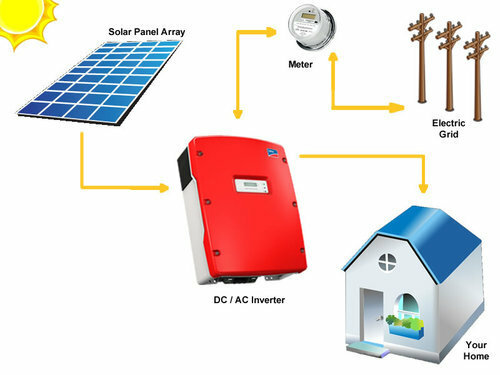 There are three main types of solar power systems: On-grid solar system, Off-Grid Solar System, Hybrid Solar System. Each type has strengths that determine how they are suitable to your needs. An off-grid solar system store the electricity produced by solar panel in batteries and utilize the stored energy by converting it back to AC through inverter as and when required. Especially in high power cut or no grid areas, has resulted in increased demand for such systems. The reduction in battery prices over the years has further brought the system cost down. To protect against shortfalls of power when the solar system is under-producing then an electric source is usually added to the system. The power generated by this system can be consumed as the excess power can’t be sold back to utility or grid department. 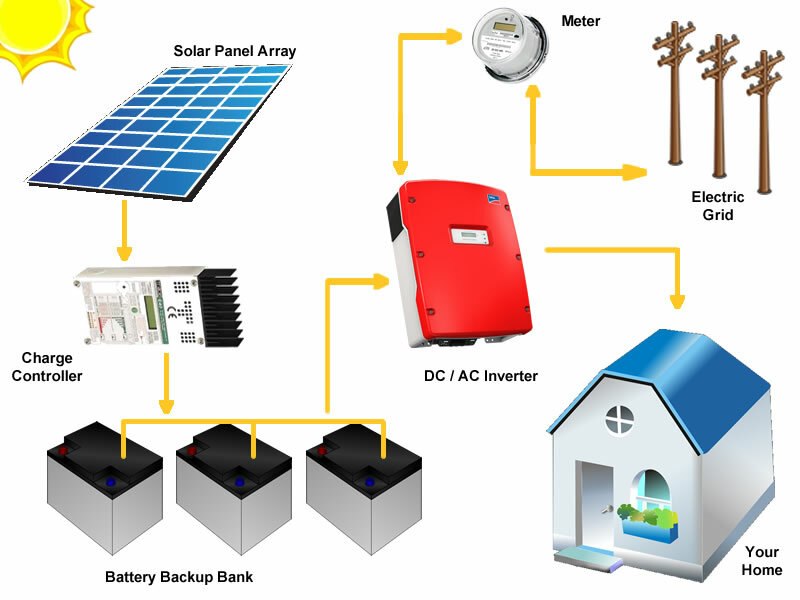 A Hybrid solar power system is connected to the main utility power grid and also with battery-backup to the system. The addition of a battery backup enables the load to run even when there is no main grid available or protects against power outages. When solar power production exceeds demand, the excess power can charge the batteries, which store the electricity and when system producing less electricity than the batteries can make up the shortfall. Hybrid solar systems are also connected to the main utility power grid. This enables you to sell power to the grid when there is excess production from solar panels.These systems are more complex to design and install and therefore more expensive.